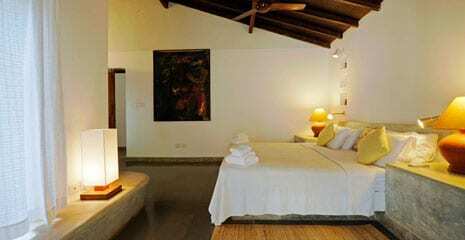 This luxury villa can accommodate up to 22 people in 11 double bedrooms with 11 en-suite bathrooms. 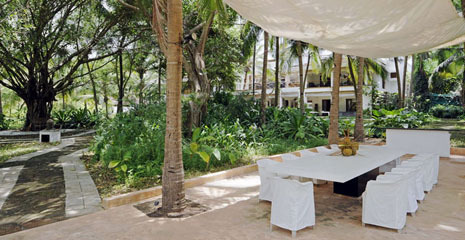 Outdoor dining areas, numerous terraces, to a private rooftop suite, a spa with massage treatments and guided yoga, a cool, shaded poolside and a beautifully palm-dotted garden. 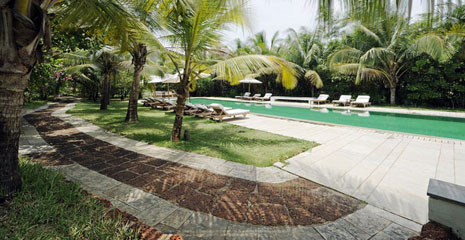 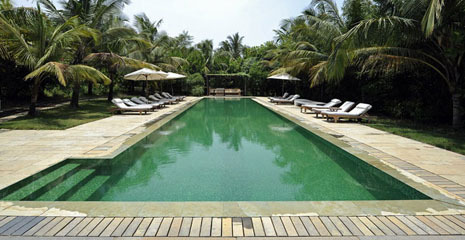 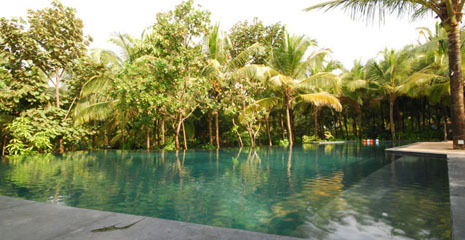 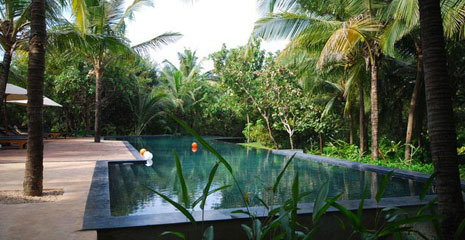 The estate includes a magnificent 25-meter swimming pool and a cocktail bar on the adjacent stretch of open beach. 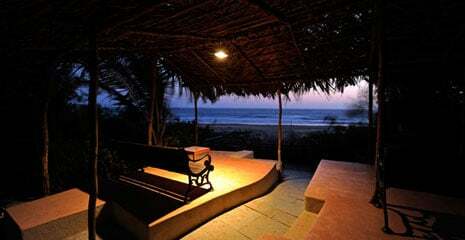 The best of Goa’s restaurants and night life are just around the corner. 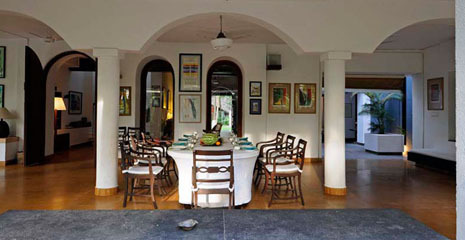 20 discreet, courteous staff are always on hand to cater to your every requirement and the chefs’ superb international repertoire is renowned: “Simply heaven”. 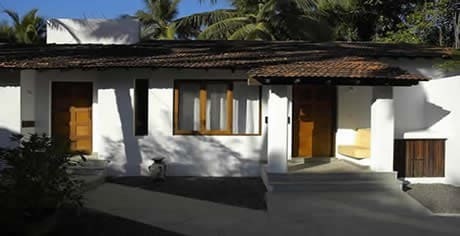 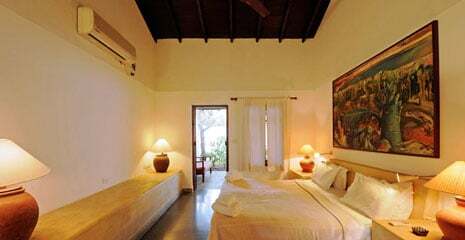 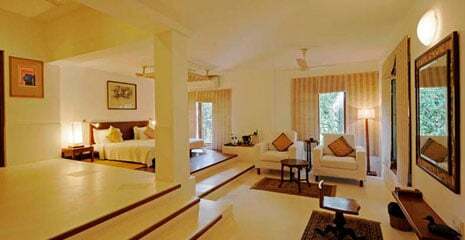 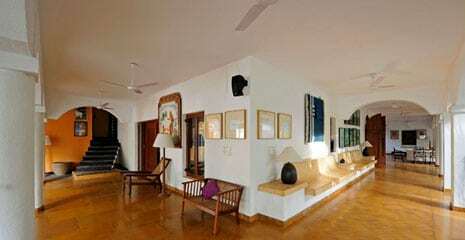 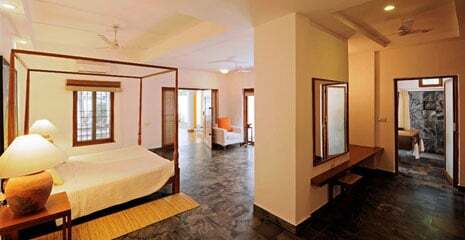 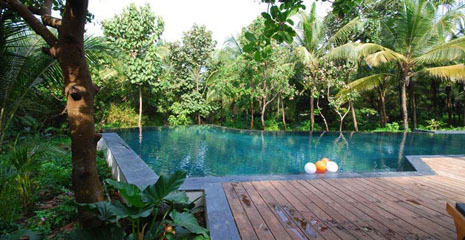 The property consists of the Main Villa which has 5 double bedrooms (see Candolim Villa Ref CAN22) plus 3 x 2 bedroom Cottages each with 2 double bedrooms (see Candolim Villa Refs CAN24, CAN25, and CAN26). 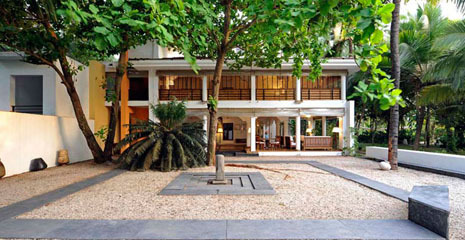 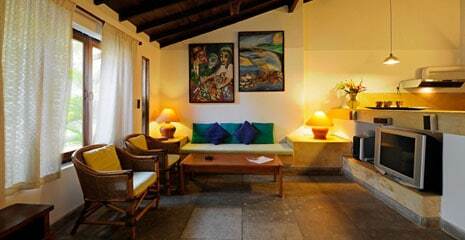 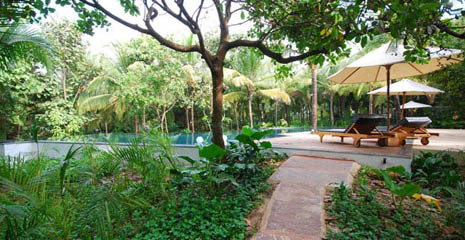 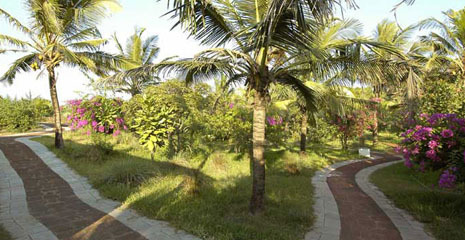 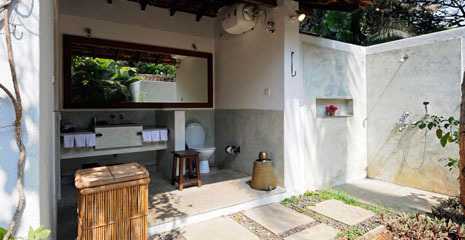 The cottages are located 50 meters from the Main House. 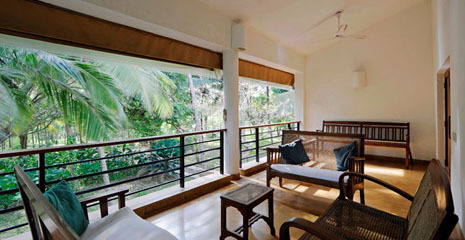 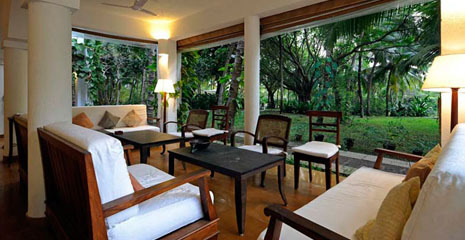 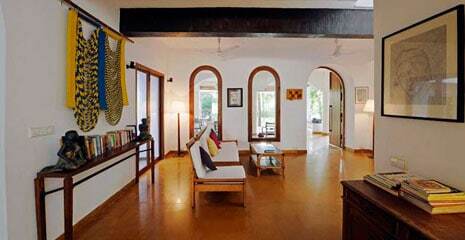 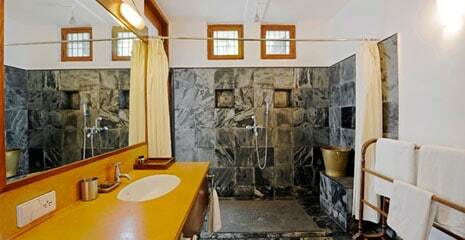 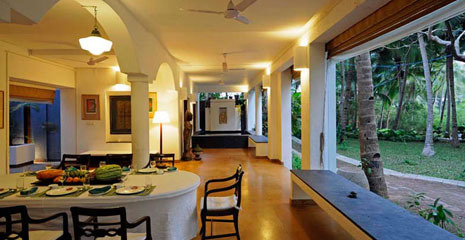 The entire property can accommodate up to 22 guests.